Luxury liquid gold Greek Extra Virgin Olive Oil it not only a gift it is supreme luxurious cosmetic product. Homer included olive oil frequently in his work, describing it as "liquid gold". 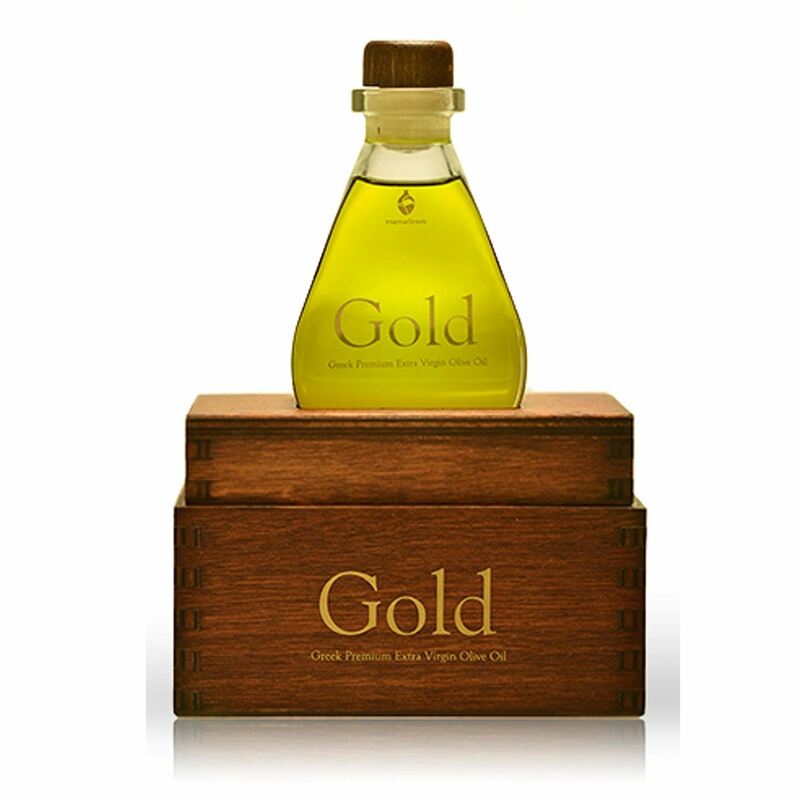 Gold is not only a 250ml bottle of Greek extra virgin olive oil. It is a gift. Combining perfectly wood and paper, mamaGreek offers a supreme luxurious cosmetic product. The small bottle reflects the exclusivity of our finest olive oil. "Gold" is made by hand-picked cold-pressed olives of the Koroneiki variety, harversted in order to provide you with the excellence of its taste. Greek Olive oil, "Ελληνικό Ελαιόλαδο", is internationally recognized for its pureness and unique taste and is known worldwide as one of the highest quality Greek products. Premium Organic Gourmet olive oil of high quality from Greece. It is obtained directly from handpicked, sustainably grown and organic olives. The delicate sweet style, fruitiness, spicy bitterness and herbaceous character will satisfy even the most demanding gustatory senses. Fig Syrup. Rare, Limited, Premium Pure Extract from figs. No sugar or preservatives added.